Here are our recommended steps for upgrading to the new operating system for your iPad, iPhone and iPod touch, iOS 8. 2/ update your device today before iOS 8 arrives- get your device up to the latest version of iOS 7 (7.1.2) in advance of the big move to iOS 8. 3/ update your apps- that number on top of your App Store icon- deal with it! Go into the App Store and install all of the waiting updates. 4/ backup your device in iTunes on your Mac. We strongly recommend backing up your device to your Mac, as this will mean you have a complete backup in case of loss, accident or theft. Run another backup before you are tempted to upgrade to iOS 8. 5/ clear your photos from the camera roll: yes while you are at your Mac, try to keep your camera roll slimmed down by importing your photos to iPhoto and then clear the camera roll after, when it confirms that all photos have been imported. Try not to let your camera roll reach into the 1000s! Instead, sync your favourite photos back to your device by creating albums and selecting them in iTunes. 6/ restart your device- always good to have a fresh start. 7/ make sure you plug it into the power before upgrading- don’t update on battery power (ok you can technically do this as long as you have enough battery life left, but it is safer to plug it into your adapter or Mac during the update as it is a big download!). 8/ now go ahead and upgrade- it is quicker to do this on the device, so go to Settings -> General -> Software Update. Once Apple release iOS 8 it will appear in this section. If you see a message saying you are up to date and on 7.1.2, then the new update has not been released yet. It should arrive tomorrow evening (17th Sept). 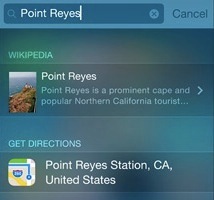 To check out some of the highlights of iOS 8, have a look at our earlier article.. 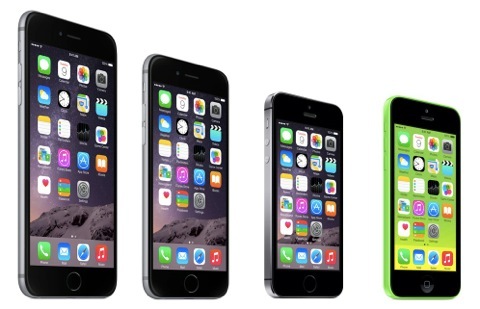 The new iPhone 6 and 6 Plus have larger displays than the 5s and 5c. The iPhone 6 has a 4.7 inch screen and the iPhone Plus comes in at 5.5 inches. Both new models also come with a faster A8 chip, and better battery life. In fact Apple claim the new batterie will last over 50% longer. In some uses, the iPhone 6 Plus has double the battery life of an iPhone 5s. One of the key differences will be the number of rows on the home screen- the 6 and 6 Plus fit 6 rows of icons compared to 5 on an iPhone 5s/c. This also applies to the apps- for example when using landscape mode in Mail, you can view your message on the right and a list of your emails on the left. An unlocked iPhone 6 starts at €699, an iPhone 6 Plus starts at €799. (in the US, phones bought under contact will be $199/$299). Apple Pay will launch in the US first in October, and will allow for payments through your iPhone 6 using Touch ID, the fingerprint sensor on your iPhone. It will be as simple as holding the iPhone near the store’s contact point with your finger resting on the home button- payment received! 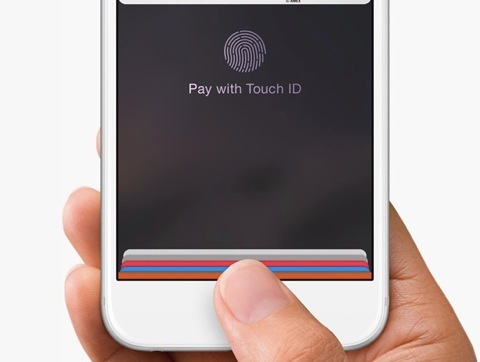 Apple Pay will only be available on the iPhone 6 (and Apple Watch in 2015). Visa, MasterCard and American Express have joined the new system, and retailers such as Walgreens, Macy’s, Staples and Disney have all signed up. Apple plan to spread this to other countries in the coming months. There will also be two height sizes (traditionally seen as men and women’s styles) and a large range of bands, making the Apple Watch the most customisable of any Apple product. In terms of features, you can read and send texts on an Apple Watch, make and receive calls, read emails, use Maps, view your calendar and reminders. There will also be lots of other Apps, from Apple and other companies. But one of the main features is the health app- Activity checks you movements and records your walks, runs, and how often you have stood up from your desk to stretch! The back of the watch has sensors which can check your heart rate and give you feedback in the apps. Inputting information and browsing is done using voice (Siri), the Digital Crown on the side (looks like the button to wind a classic watch) or by touching the screen. The Watch will also vibrate or make sounds to alert you to messages and reminders. The Apple Watch requires an iPhone 5 or above, and pairs with the phone to give it its internet connection. U2 have launched their new album, "Songs of Innocence", and it is free to everyone with an iTunes account! Hope this helps to give you a good summary of what’s coming later this year and in 2015. - the one certainty is the iPhone 6: Apple have released new iPhones in the Autumn for a few years now, mostly as they need to rollout them out to all countries before the busy Christmas buying season. - screen size: the rumours of a larger screen version seem to make sense, but not for all models. There is likely to be a top-end, larger screen version, but also a version with the same screen size as the 5s and 5c. Screen size is a personal choice, and not everyone will like the larger screen. But it does seem like the iPhone range has matured enough to introduce various models, as Apple did with the iPod in the 00s. Back then, there was just the click wheel iPod, until Apple broke out the models to introduce the mini, then nano and shuffle, followed by the iPod touch. As the iPhone matures there is likely to be this type of break-up of the range, and not just a choice of storage sizes and colours. - iOS 8 is almost certain to be discussed too, with a launch date announced. It will be introduced with the new iPhones and will come installed on the new models. We expect iOS 8 to be a free download to current iPhone and iPad owners before the end of September. We think it is unlikely to be available on the 9th September. It is more likely to ship at the same time as the phones, possibly two weeks after the press event. - we still think that there will be two “new” ranges of iPhone, matching this year’s 5s and 5c ranges. Although the 5c does not get as much publicity as the 5s, we still think it has been a success for Apple. Plus we have seen more and more 5c models around, possibly as it has taken a bit longer to filter through to consumers. - we don’t expect to see OS X Yosemite released next week, and it may not be mentioned at the event. This press event is likely to focus on iOS 8, the iPhone and possibly iPods. It is not a Mac event. - speaking of iPods, this is a crucial landmark for them. If there is no mention of the range, and if no other iPod announcements before Christmas, then we can say that the iPod range is no longer a focus for Apple. At one time iPods were one of the major product lines, but with the iPhone and possibly a wrist based device, its place it in doubt. - speaking of wrist gadgets- this is the one to watch. If Apple announces a wrist (watch is the wrong word) device, this for us sits on the iPod’s patch Imagine a wrist device with Bluetooth headset; this becomes the new high end iPod. We don’t expect the iPod range to disappear any time soon- Apple have even been slow killing off the click wheel iPod, but we do think it will continue to slip down the pecking order and simply be maintained. 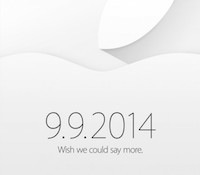 - Apple also knows how to spread announcements out, so we don’t think that iPads will be launched next week. New iPhones and a wrist device is enough for one day. But we do expect iPads before Christmas, possibly at a second event in October. - we also expect bumps for the MacBook Airs soon (and Mac minis! ), but this is not a Mac event. - Apple TV: This is a slow burner for Apple as they have focussed on content over the last few years, and the hardware has only received two revisions since its launch in 2007 (2010, 2012). We hope to see a new version, and it would fit nicely into the Christmas market..
eFibre for Kilmacanogue- not in 2014? As many readers of this site know, we have been following the broadband rollout in Kilmacanogue for many years. We eventually received “next generation” broadband in 2012, and although slow to roll out, it was a welcome change to the terrible speeds (or no speed) which we had suffered up to then. 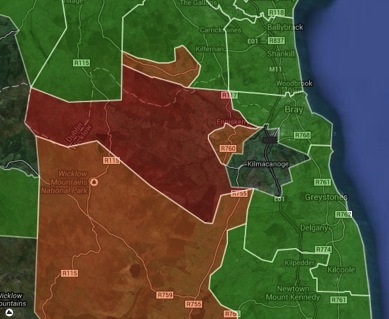 We have contacted eircom to see if they can explain why the gap has emerged, and what the future plans are. We will update you if we get any news on the future rollout for the area. . The second part of last week’s event covered the Mac. As with iOS, Apple is now launching a new operating system for the Mac once per year. The first thing which will strike you is the look of OS X Yosemite- the font used in all of the menus has changed and the Dock and icons are also new. 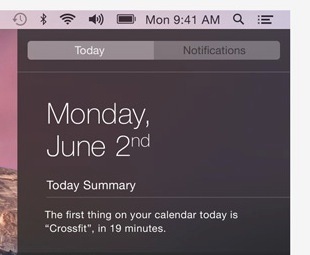 One of the coolest features is the integration between your iPhone and Mac. If you receive a call when sitting at your Mac, a notice will pop up on your Mac screen asking you if you wish to accept or decline the call. If you accept, you can speak to the person through your Mac speaker/microphone, without having to take the phone out of your pocket/bag. Also useful if the phone happens to be charging in another room! Under iOS 8, any call coming in to your iPhone will ring on your iPhone (! ), Mac, iPod touch or iPad. So you can answer or decline that call on any device. As we saw earlier in iOS 8, you can also read and reply to your SMS messages on your iPhone, iPad, iPod or Mac. Up to now you could only do this with the blue iMessages- but under Yosemite you can send green SMS text messages. With the new handoff feature, when you return to your Mac you can click on a button to carry on what you were just doing on your iPad or iPhone. So if you were in the middle of an email on your iPhone, clicking the Handoff button will bring that email up on your Mac where you can continue to work on it. This works both ways- for example, continue to work on a Pages file on your iPad if you have been working on it on your Mac. Hotspot mean that your Mac can connect to your iPhone and use its data connection. This is great if you are out and about with your laptop- just use the hotspot feature to allow your Mac to connect to the internet through the iPhone. No fiddling around with settings. In the Mail app under OS X Yosemite, you can edit and fill out PDF forms inside an email message- great when someone sends you an attachment and asks you to mark changes or complete a page. This includes signing a PDF, so you can read the PDF and add your signature without having to leave your Mail app. With the new version of AirDrop, you can send a file between your devices- for example you can take a PDF from your Mac desktop and drop it over to your iPhone. No more emailing a file to yourself! You can just drag and drop this over to your iPhone or iPad. As with iOS 8, iCloud Drive comes to Yosemite and you can arrange all of your files in your iCloud Drive from the Finder. Think of this as Apple’s version of Dropbox- you can make folders and drop your files into them, then head off and access these on your iPod, iPhone or iPad. - OS X Yosemite will run on any Mac which can run the current OS X 10.9 Mavericks. - As a run of thumb, this is any Mac from about 2008 onwards. - OS X Yosemite will be a free upgrade. Dr. Simon Spence / 2014. Last week Apple gave a preview of the next version of iOS 8, the software which runs your iPad, iPhone or iPod touch. Apple releases a new major update once per year and iOS 8 will be the big upgrade for 2014-5. The Messages app is getting an upgrade, and you will be able to see all of your text messages on your Mac, iPhone and iPad, both iMessages and SMS messages. Up to now you could only read and send (blue) iMessages on your iPad and iPhone. But this is changing so that you don’t miss (green) messages from your Blackberry or Android friends. At present, double-prssing your home button brings up the multitasking screen, showing all of your open apps. Under iOS 8 you will also see a contacts bar at the top of the screen, with your favourite people and recent contacts. One tap on a face will allow you to call, text or FaceTime that person- a handy way to get to your favourite people more quickly, without having to switch over to your Contacts app first. 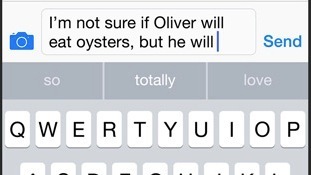 A new line above the keyboard will offer suggested words which iOS 8 thinks you are about to type next. Tap one to add it to your message, email etc. iOS 8 will also recognise the phrases you might use in the Messages as opposed to what you say in Mail- it tries to learn the differences and offer the appropriate words depending on the app you are using. Apple have also opened up the keyboard to other developers- if you don’t like the iPhone typing method, you can swap the iOS 8 keyboard for another company’s version! It will just be a matter of installing a new keyboard app. This could help people who come to the iPhone/iPad but are more familiar with another method of typing, such as on a Blackberry device of Android. The feature allows allows for shared calendars, locations and photo albums between up to 6 family members. The new iCloud Photos feature under iOS 8 allows you to place all of your photos into iCloud storage, where you can then access any of your photos from your iPhone, iPod or iPad. This would mean less syncing between your iPhoto on your Mac and your iOS device. It will also mean less space being used up on your iPhone or iPad as the photos are stored on the cloud and only downloaded to your device when required. Each iCloud account has 5GB of storage, so it is likely that you will need to pay for more storage to take advantage of this feature. Apple have price tiers for this- an extra 20GB will be $1 per month, 200GB will be $4 per month. The Camera app in iOS 8 has new filters and a new Time Lapse video feature. The new iCloud Drive will work a lot like Dropbox. 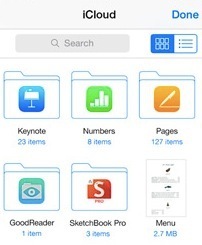 You will be able to browse through all of your files, rearrange them and open them on your iPad or iPhone. You can also start a Pages, Keynote or Numbers file on your iPhone and then pick up your iPad and carry on editing that document. This new file system means you can browse through all of your files in one place, whereas up to now you had to look for them inside the appropriate app, such as only seeing your Pages files inside the Pages app. - iOS 8 will not run on an iPhone 4. It will only work on a 4s, 5 and 5s, and presumably the new iPhone 6 which is likely to arrive in the Autumn. - it will run on any iPad except for the original iPad 1. - iOS 8 is a free upgrade. Apple seem to be on a bit of a roll at the moment with its adverts. The two recent pieces are some of the best advertising from Cupertino in the last few years. Apple have launched the new Mac Pro, and it is now available to buy on the Apple Store. I’m not sure how many sales we are going to see in our business- it is likely to be a niche product, far more niche that the old PowerMac and Mac Pro lines. At one time all professionals would buy a top line Mac and shun the iMac. But with improvements in chips speeds and these being passed down the line to all machines, the iMac is a consumer and a pro choice. Our own choice is a 27” iMac with a MacBook Air, as the iMac provides all the speed we need and the MacBook Air provides portability. What the Mac Pro offers is power and external expandability and it will come as welcome news for certain high end video editors.